Most articles on retirement investing assume that a lump sum of approximately $1 million is invested in order to provide income in retirement. In reality however, few individuals receive a lump-sum of such proportions all at once. Instead, many individual investors end up with a substantial nest-egg through long-term saving and investing. This long-term investing utilizes the power of compounding during the time it took to accumulate the nest egg. With dividend investing, instead of focusing on an asset number, investors typically focus on generating a specific amount of income. In a previous article I discussed the ways to increase your dividend income. The way that younger dividend investors should approach retirement is no different. They should save a set amount of funds each month and purchase quality dividend stocks that are attractively priced at the time. After that, they should strive to reinvest dividends selectively or using drips. As they build their portfolios over time, investors in the accumulation stage should also avoid concentrating their efforts on just a handful of stocks. In order to have a properly diversified portfolio, which will withstand dividend cuts during financial crises, investors in the accumulation stage should hold at least 30 individual domestic and international securities representative of the ten market sectors in the S&P 500. Diversification is not a silver bullet however, as certain risks, such as market risk cannot be diversified away, unless of course a non-correlated asset such as Real Estate or Fixed Income is added to the portfolio mix. In addition, investors should not diversify for the sake of diversification, and should stick to purchasing quality dividend stocks and attractive valuations. So how can one accumulate a dividend portfolio that would generate sufficient dividend income in retirement? An investor saves $1000/month and is able to allocate them to dividend growth stocks which yield 3% at the time and grow distributions at 7% per year. At that rate the distributions will double every ten years. This investor will also re-invest the accumulated dividends into more shares of dividend growth stocks yielding 3% which grow distributions at 7% per year. This means that in year 21, this investor will be able to generate over $20,000 in annual dividend income based off the $240,000 investment. The purchasing power of this investment will be cut in half assuming a 3% annual rate of inflation. In order to increase their dividend income, the investor should either save a higher amount of money every month or they should let their investment compound for a longer period of time. Saving $2000/month will generate over $41,000 in dividend income in year 21. If one saves $2000/month for 30 years however, this would lead to an annual dividend income of $118,000 by year 31. In addition, this example did not account for taxes. If investors could afford to stash away as much as possible in tax deferred accounts which let them compound their investments tax free for decades, they will avoid paying the tax man every year out of their investment returns. The drawback is that withdrawals from such accounts are difficult and costly to make if one wants to retire before the age of 59. Warren Buffett is one of the most successful investors of all time. He has been able to transform a small textile company into a $200 billion conglomerate, with interests in insurance, manufacturing, utilities and railroads. One of the most followed segment of the business however is the investment portfolio. In a previous article, I discussed how investors who closely followed Buffett’s moves in the Berkshire Hathaway (BRK.B) stock portfolio between 1976 and 2006 would have significantly outperformed the market. The company is required by the SEC to publicly disclose its stock holdings each quarter. 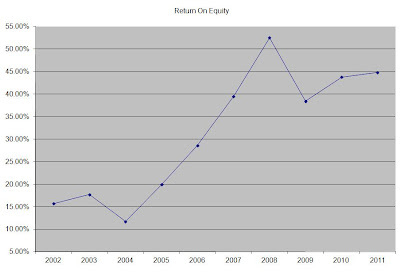 Sometimes, Buffett is able to request an exception for holdings he is in the process of accumulating. This is to ensure that investors who closely follow his trades do not bid up the prices of stocks he is purchasing, while he is building up his positions. Over the past week, Berkshire Hathaway disclosed new holdings in International Business Machines (IBM), Visa (V) and Direct TV (DTV), Intel (INTC), CVS Caremark (CVS) and General Dynamics (GD). I have long speculated that Buffett is a closet dividend investor. Indeed, Berkshire’s portfolio generates over $1.40 billion in annual dividend income. Most of the new additions represent stocks which could easily be characterized as dividend growth companies. I have analyzed each one below, in order to determine if they are decent buys at the moment. Overall, I find all of these as great businesses, which fit the Buffett model of having durable competitive advantages, pricing power and strong cash flow generation. Of all, I find Visa has the potential to be a great dividend growth story for the next few decades. Visa and MasterCard (MA) are basically a duopoly, which will certainly benefit from an increasing number of cashless transactions globally. Despite the low current yield, and the fact that the shares are close to being overvalued currently, I found the megatrends powerful enough to initiate a position in the stock. The long term dividend growth and total return potential of a company like Visa is hard to ignore. Thus being said, from a risk management perspective, I will only keep a smaller position in the company. Investors who plan on living off their assets in retirement face several risks. The risks include inflation, longevity risks, extreme market conditions and liquidity. By creating a diversified dividend portfolio however, investors could not only address these risks, but have a very good odds of achieving a rising stream of dividend income, which means that they would never have to dip into principal to finance their retirement. The first risk includes inflation. Over the past century, inflation has averaged 3% per year. While the effects of inflation are not visible over a period of five years or less, over the long run its eroding effect is significant. Even at 3%, the purchasing power of the dollar decreases by 50% in 24 years. That means that a bottle of Coca-Cola which costs $1.25 would likely cost $2.50 in 2034. Investors should realize that this is just an average however. Some costs would increase much faster than the average, while others would likely decrease over time. As a result, investors should be able to invest in assets which not only generate an inflation adjusted stream of income but also protect the purchasing power of their principal. I have discussed such investments in this article. Companies such as Procter& Gamble (PG) and Coca Cola (KO) have the pricing power to pass cost increases over to their consumers. As a result, their earnings should be able to increase if there is any inflationary pressure. The second risk is longevity risk. Investors typically depend on the four percent rule, which requires that a set percentage of one’s portfolio is sold each year, no matter what. In an event of an extended flat market, or if the retiree happens to have started retirement during a significant stock market top like the one in 1929 or 2000, then they would likely deplete their assets in less than 2 decades. A male that was born in 1946, is expected to live 19 more years according to this SSI Life Expectancy Calculator. The problem is that this is just an estimate – a major portion of those which have chosen to retire at 65 would likely live longer than average. Running out of money in retirement should never be an option, since it is impossible to predict the life expectancy of an individual with any precision. Dividend Growth Investors do not have to worry about longevity risks, as long as they hold a properly diversified dividend portfolio. This portfolio should include at least 30 individual securities representative of as many sectors in the economy as well as a variety of geographic areas. This portfolio should also include certain noncorrelated assets such as fixed income as well. For an example dividend growth portfolio for the long term, check this portfolio. The process of building a bullet proof portfolio should take some time, as not all great dividend stocks are attractively valued at all times. The third risk includes extreme market conditions. This could include bear markets, recessions and depressions. The beauty of most quality dividend stocks is that while their prices fluctuate with the market, their dividend payments are stable and even rising. As a result, investors are essentially paid for holding on to their investments. As long as the carefully selected dividend stocks maintain their profitability and can afford to pay the distributions, investors should do exactly that – hold on to their positions. Selling your stocks just because the market is down 20%- 30% and all the doom and gloomers are predicting the end of the world is not a good idea if the dividend is maintained or increased, unless of course the dividend is cut or eliminated. In order to withstand market corrections caused by recessions, investors should have a properly diversified dividend portfolio which has proper representation from the ten sectors in the S&P 500. Adding some international stocks could also reduce volatility in dividend and stock price returns as well. During the financial crisis of 2007 -2009 most of the dividend cuts were concentrated in the financial sector as some dividend aristocrats like Bank of America (BAC) and US Bancorp (USB) cut distributions. At the same time however, companies like PepsiCo (PEP) and McDonald’s (MCD) kept raising dividend stocks. This means that if dividend investors were properly diversified using the above mentioned principles, the effect on the financial crisis on their dividend income would have been insignificant at worst. The fourth risk is liquidity. Investors who purchase annuities typically are able to generate a stable stream of income in exchange for handing over their nest egg to an insurance company. They pay a fee for this service, and have their money locked up. The annuity payment typically does not grow over time, which decreases the purchasing power of the income stream. If the retiree tries to sell the annuity, they would be hit with a large number of steep fees. In addition, most annuities stop paying income once the original participant is deceased. They could be extended to provide a payment to the participant’s spouse, but this would result in a lower current payment. This means that the next generation would not be able to benefit from the wealth accumulated by the retiree. Investors who depend on dividend stocks for income in retirements, do not face any liquidity risks. Most of the best dividend stocks are actively traded blue chips, which could be sold every day that the market is open. Investors living off dividends should not dip into principal unless there are extreme circumstances, which absolutely requires this to happen. For example, Johnson & Johnson (JNJ) trades an average of 12 million shares per day. This means that unless the size for your trade is in the tens of thousands of shares, liquidity should not be an issue. That being said, most dividend investors focus on the long term dividend potential of their income stocks. However, knowing that your portfolio is quietly appreciating as well because of the higher earnings generation capacity of the business, is always appreciated as well. Life is full of unpredictability. That is why people naturally tend to gravitate towards leaders, which are consistent at winning. Dividend investors are no different. They look for proven winners, which can be relied upon to deliver results. Once a consistent winner is selected, dividend growth investors simply hang on to it, and get paid a rising stream of income for holding the investment. A rising dividend payment results in higher profits for the shareholders, making the dividend stock that produces the income more valuable over time. Investors who plan on living off dividends in retirement, should generally focus on companies paying regular, stable and rising distributions over time. This process requires analyzing stocks that fit a certain predetermined entry criteria, and keeping up to date on any developments. One press release that makes my day every quarter is the one that discusses how a company’s Board of Directors has approved a quarterly dividend payment for shareholders. The most exciting press release is the one that discusses how a dividend increase has been approved. Understanding the dates mentioned in those press releases is essential for investors, as it will determine the timing of the distribution. Dividend Declaration Date – This is the date on which dividends are declared by the board of directors. Ex-Dividend Date – The Ex-dividend date is usually two days before the record date. This is the first day that the stock trades without the right to receive a dividend. On this day the price of the stock will be reduced by the amount of the dividend. The reduction comes from the price of the last trade in the previous session. If you purchase a stock on the ex-dividend date, you won’t receive a dividend until it is declared for the next time period. In order to be able to get the dividend, you will have to purchase the stock before the ex-dividend date. Record Date - Shareholders who are not registered as of this date will not receive the dividend. Registration in most countries is essentially automatic for shares purchased before the ex-dividend date. Payment Date – This is the date on which the dividends are deposited directly in your investment account or sent in the mail. The most important date of all is the ex-dividend date. If you purchase a stock one day before the ex-dividend date and sell it on the ex-dividend date, you will be entitled to receive the dividends. Technically, some dividend investors get excited at the fact that they could own a stock for one day per quarter, and still be eligible to receive the dividend. In a previous article I explained the dangers behind the dividend capture strategy. Altria Group, Inc. (Altria) (NYSE: MO) today announced that its Board of Directors voted to increase Altria's regular quarterly dividend by 7.9% to $0.41 per common share versus the previous rate of $0.38 per common share. The new annualized dividend rate is $1.64 per common share. 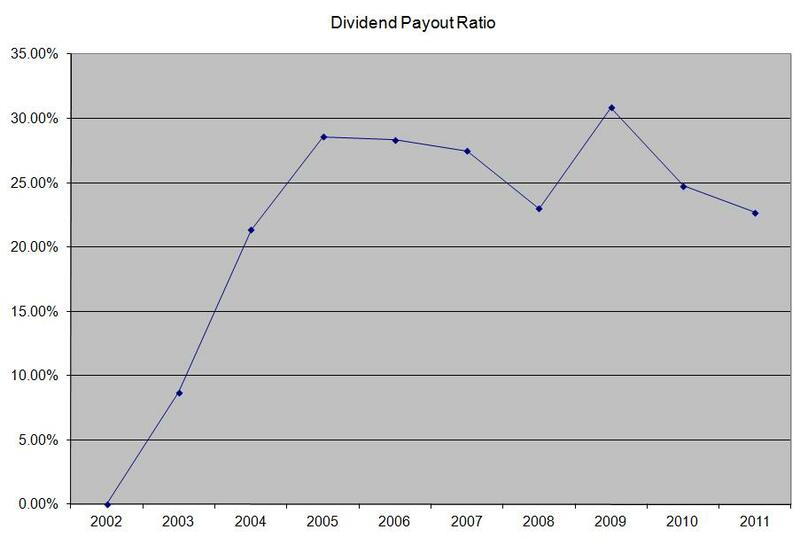 The quarterly dividend is payable on October 11, 2011 to shareholders of record as of September 15, 2011. The ex-dividend date is September 13, 2011. Basically what this means is that investors who owned Altria (MO) stock at the close of business on September 12, 2011, were entitled to receive a dividend of 41 cents/share on October 11, 2011. Several companies I own have announced that they plan on splitting in two separate entities. Abbott Labs (ABT) was the latest one to announce its intentions to split in two companies. Check my analysis of the stock. The question in the mind of every dividend growth investor is: “What should I do”? In general, as long as the characteristics which enabled the original company to raise dividends for decades are still intact, chances are that the separate entities will continue raising distributions. For example, Altria Group (MO) was able to spin-off Kraft (KFT) in 2007 and Phillip Morris International (PM) in 2008. Before that, the original company was able to raise annual distributions for over three decades. After the spin-offs, Altria (MO) has kept up with raising dividends to its shareholders, as did Phillip Morris International (PM). Both companies were able to increase earnings per share over the same period, which enabled them to achieve the task of higher dividends ever since. Kraft (KFT) on the other hand has been unable to increase distributions more than once since the spin-off, due to its inability to increase earnings and due to the costs associated with the acquisition of Cadbury in 2010. Now Kraft (KFT) itself is in the process of splitting in two separate companies, the global snacks business with annual sales of $32 billion and a high margin grocery business, with annual sales of $16 billion. Abbott Labs on the other hand is splitting in two companies. The first one will be a research-based pharmaceuticals company, which will own Abbott’s premier drug names such as Humira, Lupron, Synagis to name a few. It would be basically a drug company, which focuses on keeping its pipeline of new drugs coming to the market, through constant investment in research and development. Drug companies have faced steep patent cliffs over the past several years, which has intensified mergers in the sector. The second company will be a diversified medical products company, and its name would remain Abbott. It would own established nutritional products, medical devices and diagnostics products as well as generic drugs outside of the US. As a dividend growth investor, I plan on holding on to these stocks after the spin-offs. I believe that both companies would be able to better focus on their goals as standalone entities. Despite the fact that I do require a minimum of ten consecutive annual dividend increases in order to purchase new stocks, I make an exception for spin-offs. I do monitor each situation closely however, as inability to raise dividends over time would prohibit me from allocating any new capital to such positions. Once investors receive the new shares in each of the new companies, initially I expect that the dividends in total to be equal to the total dividend paid out by Abbott. Overtime however, I expect these dividends to grow. As a result, given the fact that Abbott has had a long culture of dividend increases and the fact that it is priced attractively at the moment, I would keep accumulating the stock in my income portfolio.